The whole armor of God – what is it? How every piece of the armor of God can make us impenetrable to Satan’s wiles. 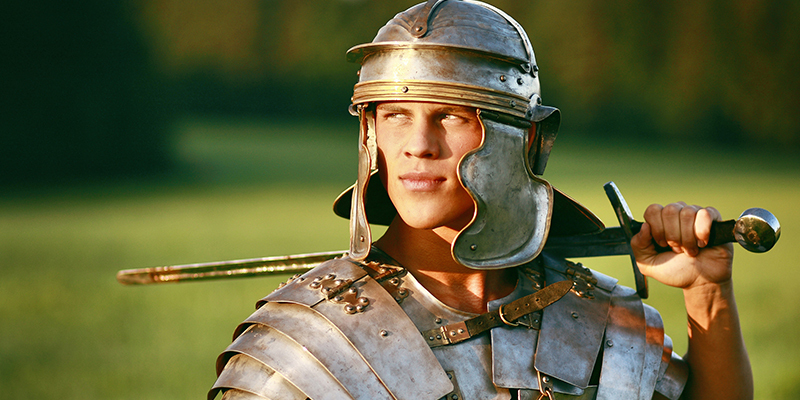 Why do we need the armor of God? Satan has always been a formidable enemyMost often when a Christian refers to his or her “enemies” they are speaking about the sin in their flesh and the temptations and lusts that arise from there. These are enemies because they tempt us to act contrary to the will of God. These can also be spiritual powers such as the spirit of the times which oppose the... More of mankind, and countless people have succumbed to his attacks and cunning lies. He uses many strategies: from trying to convince us that following our lustsThe desires that we experience that go against God’s will. In other words, a desire for anything sinful. See James 1:14. Also called “sin in the flesh.” Although the expression “youthful lusts” is often thought of in connection with sinful sexual desires, lusts include anything that go against what is good and right in God’s eyes. (2 Timothy 2:22.; Galatians... More will bring happiness, to telling us that we are hopeless sinners, beyond help. However, he knows what is prophesied about him – that his bitter end is looming. (Revelation 20:10) While he still can, he wants to take down as many as possible with him. “Therefore take up the whole armor of God, that you may be able to withstand in the evil day, and having done all, to stand.” Ephesians 6:13. We have to be alert, have our defenses up, and launch a full-blown attack to send him running! A person wearing the armor of God is not slack or indifferent to the forces that he knows will come. He is anticipating an attack; he is vigilant! “Stand therefore, having girded your waist with truth, having put on the breastplate of righteousness, and having shod your feet with the preparation of the gospel of peace; above all, taking the shield of faith with which you will be able to quench all the fiery darts of the wicked one. And take the helmet of salvation, and the sword of the Spirit, which is the word of God; praying always with all prayer and supplication in the Spirit …” Ephesians 6:14-18. The truth girds the one who employs it. No one can catch such a person in a lie. Because there is liberating power in each and every truth, the one who walks in the truth in all his ways will be set free. A lie, no matter how “little,” gives the powers of darkness an opening for attack, but the truth chases them far away. Truth and righteousness are very closely related. The accusations of Satan “roll off” personal righteousness like water off a duck’s back. The powers of darkness stand ready to attack us at the least sign of unrighteousness. Unrighteousness gives Satan power over the one who practices it. Jesus said, “For the ruler of this world is coming, and he has nothing in Me.” John 14:30. He was entitled to say this because He was clothed with the breastplate of righteousness. May the same thing be said of us when Satan tries to sift us like wheat! 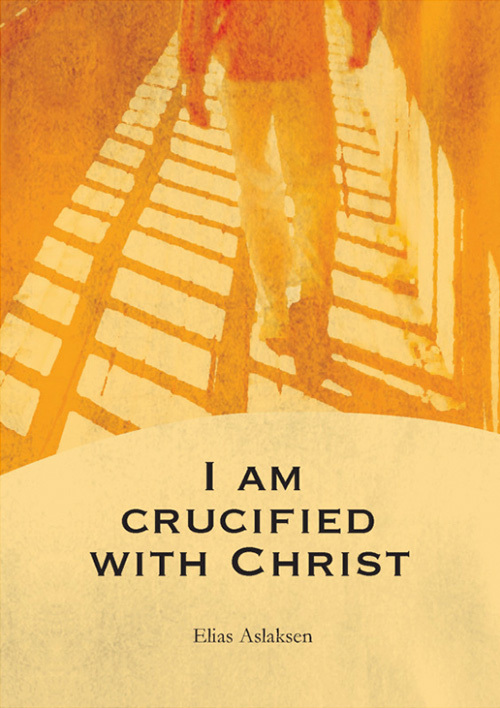 We don’t get very far walking with bare feet on glass and sharp stones, let alone trying to fightAlmost all talk of battles and wars when concerning a Christian life refers to the inner battle that arises when a sinful thought tempts you. God’s Spirit and the flesh are at odds. When you have decided to only do God’s will and are being led by the Spirit, a conflict between the flesh and the Spirit arises: there is... More a battle on terrain like that – that is why our feet must be shod (protected). Likewise, the one who brings the gospel to others must be able to suffer hardship for the sake of the gospel. He mustn’t become touchy and sensitive at the opposition he encounters, like bare feet would be on glass and sharp stones. He must have his spiritual feet shod. The gospel of peace has the inherent ability to prepare us for battle. But even though it is readily available, we ourselves need to start using it, as in all things. Faith always goes against our lusts. In every temptation, Satan sends his flaming darts into our mind, which has the power to decide whether we will obey God or give in to the lusts of the fleshThe desires that we experience that go against God’s will. In other words, a desire for anything sinful. See James 1:14. Also called “sin in the flesh.” Although the expression “youthful lusts” is often thought of in connection with sinful sexual desires, lusts include anything that go against what is good and right in God’s eyes. (2 Timothy 2:22.; Galatians... More. That’s how Satan preaches when a soul sets out to do a work of faith. In the position Abraham was in, every word would have struck him like a flaming dart. And yet, Abraham had not heard wrong; he acted with boldness and valor because God had said it, and we all know what happened – Satan’s flaming darts simply glanced off the shield of faith. The spiritual hosts of wickedness in the heavenly places are only too happy to make trouble for believers, when given the chance. But the helmet of salvation is hard and resistant to everything that rains down upon it from the air. A jubilant soul doesn’t become despondent. It is the one who is downcast who is at risk. Discouragement is unbelief, but unbelief is faith in the power of Satan. Once you begin to believe in unbelief, everything goes wrong. So, in faith and confidence, pull the helmet of salvation tightly down upon your head, and lay hold of the sword of the Spirit! David’s strength was not especially great, but by faith he put a stone in his slingshot and hurled it toward Goliath. A preacher once said that if Goliath’s forehead had been 10 meters thick, the stone would still have penetrated. I think so too! When used in its sharpness, and when administered by an enlightened understanding in the full assurance of faith, the sword of the Spirit can put whole armies of evil spirits to flight. But no one can use the sword of the Spirit victoriously without having put on the rest of the armor of God. Prayer in the Spirit will give us far more than we could ever ask or think. One who is unaccustomed to praying must, from the very outset, simply discipline himself to pray. Later on, the Spirit Himself will work in him to pray. The Spirit works in us to pray inwardly – without words. But then He conveys these prayers of the heart to the realm of our understanding, to be employed by that understanding. Such unceasing prayer increases our content of life and multiplies our treasures in heaven. Patience and meekness then seem to come naturally, because the Lord is near. This article is an adaptation of a commentary on the book of Ephesians, first published in Norwegian by Skjulte Skatters Forlag in May, 1920.
Who is the enemy and why should we fight it? How should we fight against sin in the flesh? What should I do if I have sinned without knowing it? Do you find you are still doing things wrong, even though you sincerely want to do the good? When Satan works among God’s people, he takes advantage of their natural desires and tendencies and the things that are appealing to them. Fear of manFear of man is when your thoughts and actions are restricted and dictated by other people’s opinions and what they think about you. When you are bound by people (bound by the fear of man) then you are unable to serve God because you care more about people’s opinions of you than God’s. (Proverbs 29:25. 1 Samuel 15:24)... More shows itself in different ways in different personalities, but it’s there in all of us. Do you want to know how to become free from it?